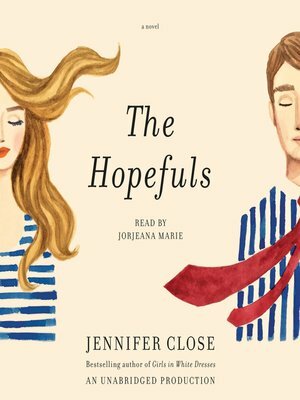 A brilliantly funny novel about ambition and marriage from the best-selling author of Girls in White Dresses, The Hopefuls tells the story of a young wife who follows her husband and his political dreams to Washington, D.C., a city of idealism, gossip, and complicated friendships among the young aspiring elite. When Beth arrives in D.C., she hates everything about it: the confusing traffic circles, the ubiquitous Ann Taylor suits, the humidity that descends each summer. At dinner parties, guests compare their security clearance levels. They leave their BlackBerrys on the table. They speak in acronyms. And once they realize Beth doesn't work in politics, they smile blandly and turn away. Soon Beth and her husband, Matt, meet a charismatic White House staffer named Jimmy, and his wife, Ashleigh, and the four become inseparable, coordinating brunches, birthdays, and long weekends away. But as Jimmy's star rises higher and higher, the couples' friendship—and Beth's relationship with Matt—is threatened by jealousy, competition, and rumors. A glorious send-up of young D.C. and a blazingly honest portrait of a marriage, this is the finest work yet by one of our most beloved writers.